This is NOT a Drill. This is NOT a Joke. 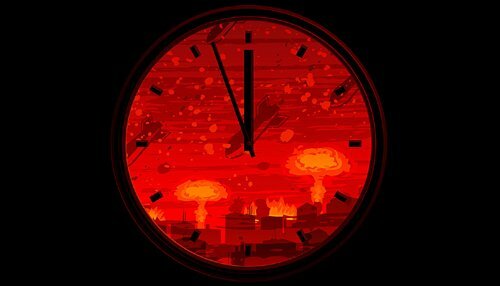 It is Seconds to Midnight. How dare the individuals involved in the nuclear energy and weapons industry even imagine they have ANY RIGHT or authority to build things that can kill masses of people at once and POISON the land, water, and air forever. The land that grows the food that the industry hacks eat just like the rest of us. If there was ever any doubt that the world is run by the dumbest, craziest fools ever to parade their lack if wisdom before humanity, it should be erased by the video posted below. Fuel Pool 4 is WAY more dangerous than the Cuban Missile Crisis because nuclear war was NEVER inevitable. The collapse of fuel pool 4 IS inevitable if they can’t remove the fuel rods. If the Japanese try to do it alone, the results will likely be the same as collapse. Posted on September 23, 2013, in Editors' Rants and Raves. Bookmark the permalink. 2 Comments. Been checking on this situation at “TED” since it happened and it is taking this long to get to mainstream media for an event of Armageddon proportions Ultimate Crime against Humanity!